LOVE THIS! Love the video too! You look amazing! LOVED the video. You look out of this world and this whole...form of expression... this statement is just... awesome. Amazing! Conngrats dear! You're so cool! is that dress. and the shoes omg. LOVING the use of color. It's amaze-balls to the max. I love your dress it is amazing!!! Worth the investment. Wow, this is so cool, really extravagant! Loved it, i'm following. love how you added blue socks! Those shoes are really awesome and a very cool dress. 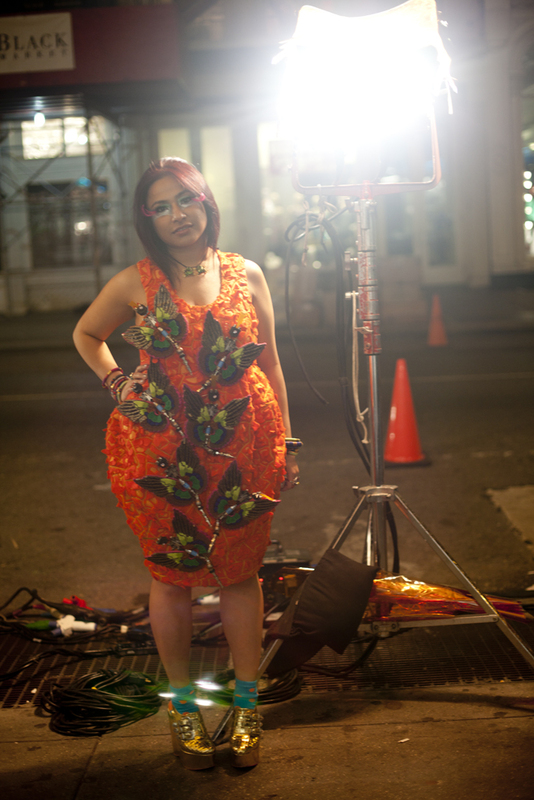 Will watch video next..
Wow, hell yeah I love Manish Arora, the dress is incredible, it looks great on you! The shoes too! I already love your style, I'm gonna follow ya :) Thanks for the comment! I adore your dress! Love all the details in it! amazing shoes! i love it! new photos on my blog. and this dress is just amazing. breath takinf, seriously!!! That is one amazing dress, and what fantastic shoes! I am off to watch your video now, but I agree, I rarely watch videos online, unless I have a lot of time spare, or it's something that really interests me. Where I am right now, my connection is extremely slow to watch videos but I will check it out later. Awesome photos Prutha and I adore the shoes. Oh Pru, you're so deliciously crazy! Love you! INCREDIBLE shoes. These photos are so vivid. I haven't check your blog for a while so I didn't have a chance to watch the video before but looking at it now, it's just coming up blank for me - a black box with no loaded video. Perhaps that was part of the issue? Am so incredibly jealous. Love Manish Arora, but it's so expensive! The dress you have is truly spectacular, and I love how you styled it with the shoes and the makeup. This is awesome. I love your bracelets as well. There is a really nice mix&match between the outfit & the environment, the background. Well done. Check out my new Fearless Future Post!